Is Your Smartphone Causing Your Chronic Dry Eyes? Staring at a computer screen can cause the eyes to become tired. Everyone knows how important it is to protect the eyes from UV rays with UV blocking sunglasses. However, what many people do not realize is that the light that is emitted from a smartphone can also harm the eyes. Studies have shown that 60% of people spend at least 6 hours a day in front of a digital screen, whether it is a smartphone or computer screen. Blue light is emitted from these types of screens and has been shown to be harmful to the eyes. Why is Blue Light Harmful to the Eyes? We all remember from elementary school that there are visible and non-visible light waves. The visible light spectrum is what allows us to see colors. A rainbow is proof of this range of colors: red, orange, yellow, green, blue, indigo, and violet. This light is made up of electromagnetic particles that travel in waves. The waves vary in energy levels, range, length, and strength. The longer the wavelength, the lower the energy; the shorter the wavelength, the higher the energy. Blue light has a very short wavelength and produces a higher amount of energy than other colors. Over time, studies have shown that prolonged exposure to blue light waves could cause serious and long-term damage to the eyes. Blue light is everywhere: outside from the sun, inside from appliances such as TVs, computers laptops, smartphones, other electronic devices, and LED and fluorescent lighting. Avoiding blue light is simply not possible. Because of their strong, short wavelength, blue light waves flicker more easily than their longer, weaker counterparts. This flickering can cause glaring and may be one of the main reasons for eyestrain, headaches, and mental fatigue after sitting for hours in front of a computer screen or other electronic device. The eyes have natural filters to protect against strong light waves. 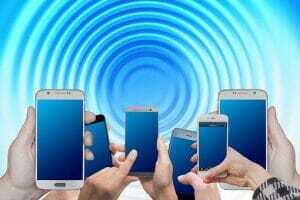 However, the eyes do not provide sufficient protection against blue light rays from artificial means like smartphones or fluorescent-light tubes. Retinal damage may occur with prolonged exposure to blue light. Vision loss may also occur if age-related macular degeneration is accelerated from blue light overexposure. With the evolution of technology in digital screens, many of the electronic devices today use LED backlight technology. This technology gives the viewer a clearer and brighter screen that is visually more appealing. However, the LEDs that are emitted from these devices are very strong blue light waves. Since the use of computers, laptops, cell phones, and flat-screen TVs is increasing in popularity and usage, the public is gradually being exposed to additional sources of blue light for longer periods of time. Both adults and children are at risk for digital eyestrain. There is growing medical evidence to show that extensive exposure to blue light may cause permanent eye damage, contribute to cell destruction in the retina, and cause vision loss through age-related macular degeneration. A recent Harvard medical study stated that High Energy Visible (HEV) blue light is the most dangerous light for the retina. For those who have been chronically exposed to blue light, they can expect to an increase in the number of macular degenerations, occurrences of glaucoma, and retinal degenerative diseases. Everyone needs protection from blue light exposure. Limiting the number of hours staring at a computer screen, texting on a cellphone, time spent outdoors with unprotected eyes can lead to dry eyes and vision problems. 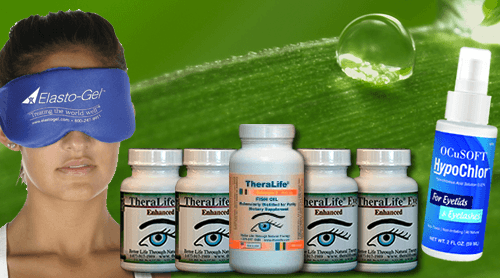 For those who are suffering from dry eyes due to prolonged exposure to blue light, TheraLife can help. The entire line of TheraLife products helps to restore the protective layer naturally from the inside out. TheraLife uses only natural products and believes that allowing the body to heal itself is the best way to have healthy, pain-free eyes.